Everyone likes a good competition so why not enter your igloo into this year's Igloo Contest?! Yep, It's that time of year once again, and like all of the years before Club Penguin is having another Igloo Decorating contest! Igloos will be able to be submitted on Friday so start working on your igloo! What makes a prize-winning igloo? Can you give us any tips? It's not about how much furniture you use, it's what you do with it! The judges look for creative, festive igloos. So use your imagination! And how do you enter your igloo in the competition? 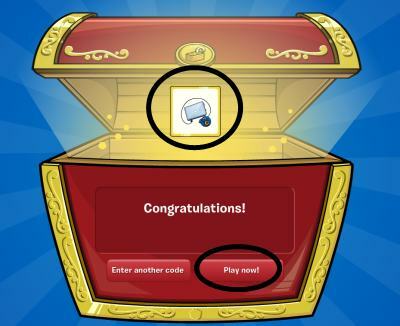 You'll see a special igloo button in your igloo December 18-20. When your igloo is ready, just click it to enter. Lots of readers are curious about who the judges are... can you tell us? We've got two really special guests this year and they've got really different tastes. By my beard, I'll say nothing more!